The Multigraph management team consists of versatile professionals. Together, they have combined their individual experiences and designed, developed and implemented successful solutions for customers worldwide. Their commitment, trust & reliability reflects in every project undertaken by them and has evolved into the cornerstone of their business. The Multigraph Machinery Company Ltd. top Management team comprises the Chairman, Vice Chairman and Managing Director who look after various functions of the organization covering multiple areas of the Company. Chairman of the Company and the Board of Directors. With great success in establishing manufacturing plants in diverse fields earlier, such as Gold Mohur Industries & Manometer (India) Pvt. Ltd., Mr.S.M.Shah took up the challenge of entering the Printing Industry. He entered into a technical and financial collaboration with Polygraph Export Import GDR in the year 1971, then a leading force in the manufacture of printing machinery. Thus, gradually came into existence Multigraph Machinery Company Ltd. Mr.S.M.Shah, over the years, transformed the company from it's humble beginnings to a world class printing machinery manufacturing enterprise. It was always Mr.S.M.Shah's vision to place Multigraph Machinery Company Ltd. on the map of leading global press manufacturers. The dream has now been realized. Vice - Chairman & Managing Director. 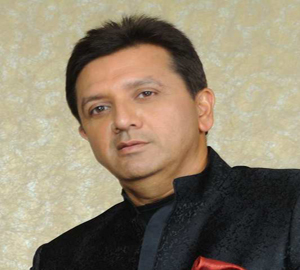 With his sound business acumen & strong leadership skills, Mr. Sanjay Shah leads Multigraph Machinery Company Ltd. He oversees the vast gamut of the entire Commercial, Financial, Sales & Marketing activities, as well as all Administrative & HR functions. His commitment to the growth of the company is unremitting & he has played a major role in where the company is today. With his strong technical expertise backed by hands-on training in the USA, Mr.Pradeep Shah manages all the operational, technical & engineering aspects of the company. He overlooks the manufacturing facilities as well as the company’s expansion into International markets. He also has a passion for new technologies & is responsible for bringing the latest technical advancements to the company & placing Multigraph Machinery Company Ltd. firmly in the International market. In 2015 Multigraph Machinery Co. Ltd. introduced the Packaging division under the leadership of Mr.Hiten Mehta. He has been serving the Flexible Printing & Packaging industry for the past three decades with his perseverance, passion and expertise. His forte is not only to monitor and analyze client’s requirements & future industry trends, but also in understanding the demands required to implement strategic sales & marketing plans to achieve targeted goals. 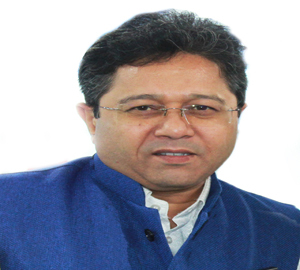 He is known for maintaining positive business relationships with principles, vendors and customers globally. 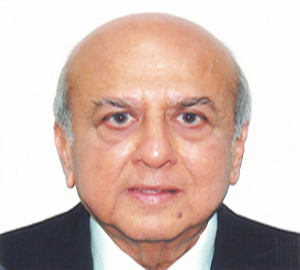 He is now responsible for the sales & marketing of packaging machinery across India, the Middle East and Africa. 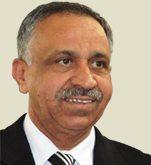 Mr.I.K.Dogra has a wealth of over 30 years of experience in the field of printing machinery sales. His expertise lies in printing technology and he has kept himself abreast with the new printing technologies that have evolved from time to time. 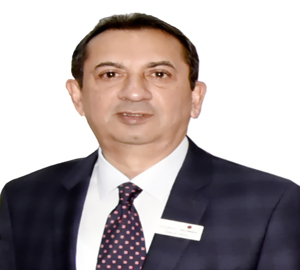 He heads the sales teams covering India, Middle East, CIS countries and Africa and ensures the Company’s bottom line is met with regard to sales in these regions.